At AddThis, we’re pretty big on data. And data shows that significantly more people will register and sign in to your site if they don’t have to create and manage a new account. 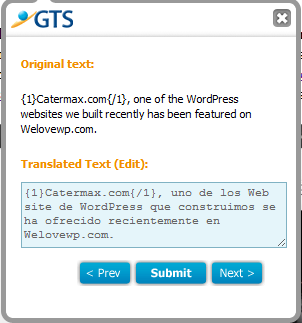 That is why we wanted to make it easy for WordPress users and readers to have a simple social option for signing in. When we say simple, we really mean it. Since every WordPress blog already has a standard user system for managing authors and commenters, we’ve created a new WordPress plugin that integrates Social Sign In automatically. 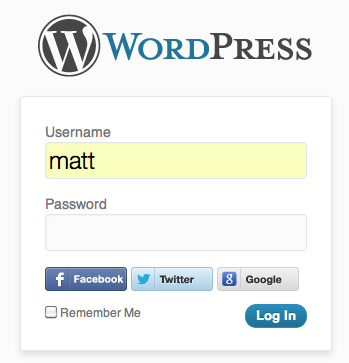 This means you can add Facebook, Google and Twitter-based authentication to your WordPress blog with a single click. Our plugin just adds social authentication to the existing WordPress registration and sign in screens, so the flow doesn’t change for your users–you can use Social Sign In for registering commenters and submitters alike. Log out, and log back in with just one click! We really hope you take a second to test out our new plugin and find it useful! Questions? Comments? Please feel free to reach out to me directly and let us know what you think! In particular, we’d love to know what other services to add– we have Yahoo and LinkedIn integrations in development, but what would be most useful for you? Kori is an account and community manager at AddThis. She helps to support and engage the community of publishers who use the AddThis social plugins on their sites and blogs. This looks great and definitely something I’m keen to try out. I just noticed that the current version of the plugin v2.0.1 is only compatible up to WordPress v3.4.2 – hopefully the plugin will be updated sometime soon.